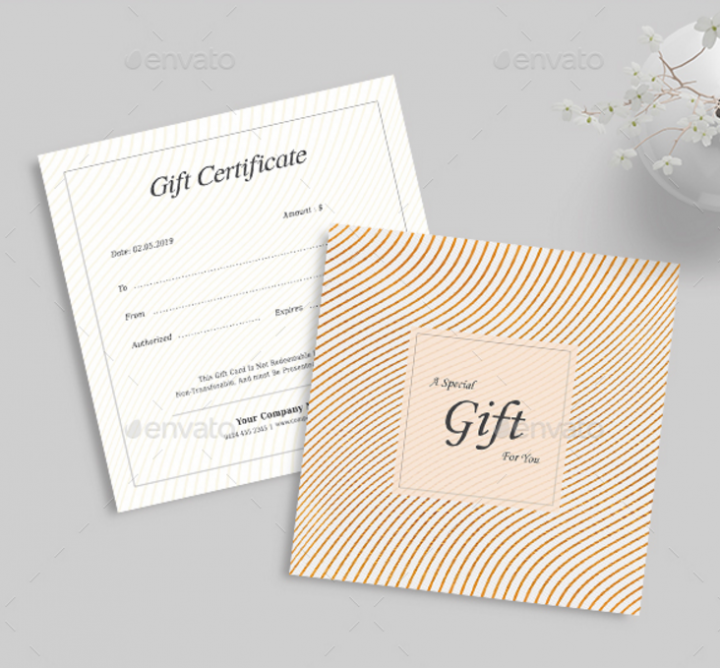 Since gift certificates are used as gifts, as such, they should be designed to be aesthetically pleasing. 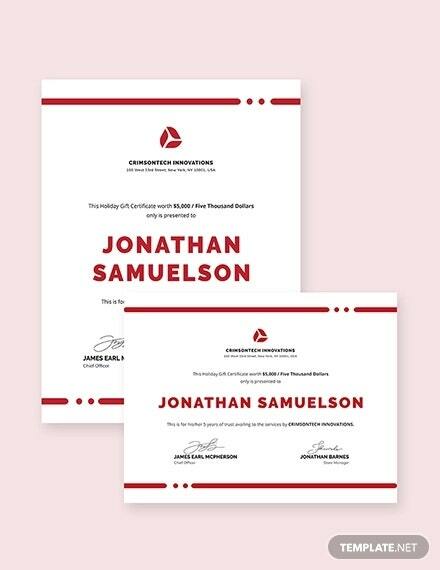 You don’t have to go overboard with the design and can opt for simple ones as long as the design is able to represent your company’s identity well. 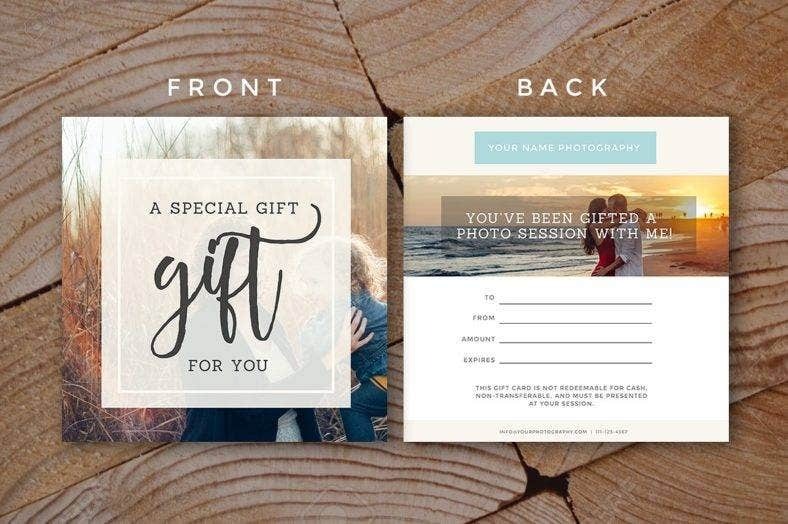 You can either create a design from scratch or purchase a template for a gift certificate. The latter is more convenient and efficient especially for a busy business person such as yourself. 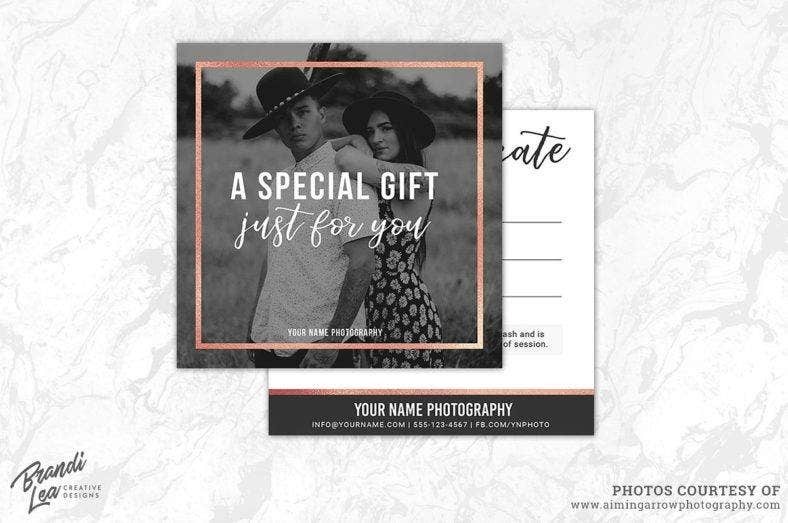 So, if you do decide to purchase a template, you can look at our curated list of gift certificate design and templates and choose one or more for your company. Although these are pre-made, you still need to sprinkle your personal touch on it so it would create a distinct identity for your company. Let us dive into the list and let the selection begin! Gift certificates are great incentives or rewards, especially for employees. But, what does it do for your simple business? Let’s talk about it further below. When customers are given a gift certificate, they will need to use them to purchase at your store before it goes beyond its validity date, if it has any. 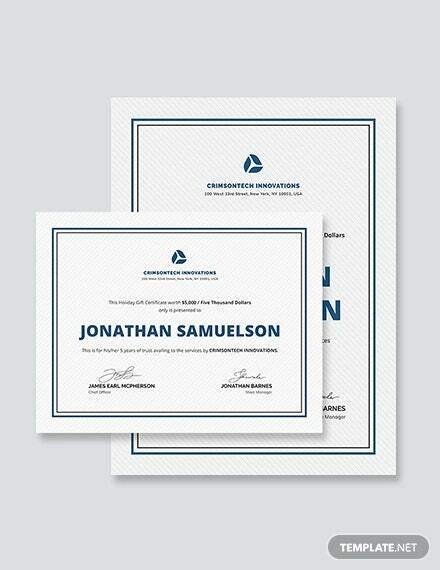 Most customers often spend more than the value of the certificate. You may also see a certificate of gift. This is important especially for new companies. Promoting your company is one of the top priorities and it can be done in various ways, whether to give out flyers, pay for TV ads, or give gift certificates. 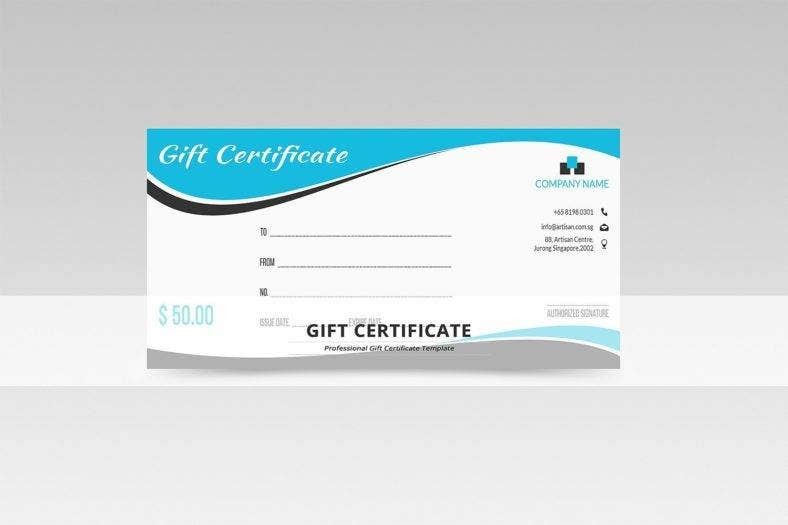 When customers are given a gift certificate, there is a chance that they will give it as a gift for someone. 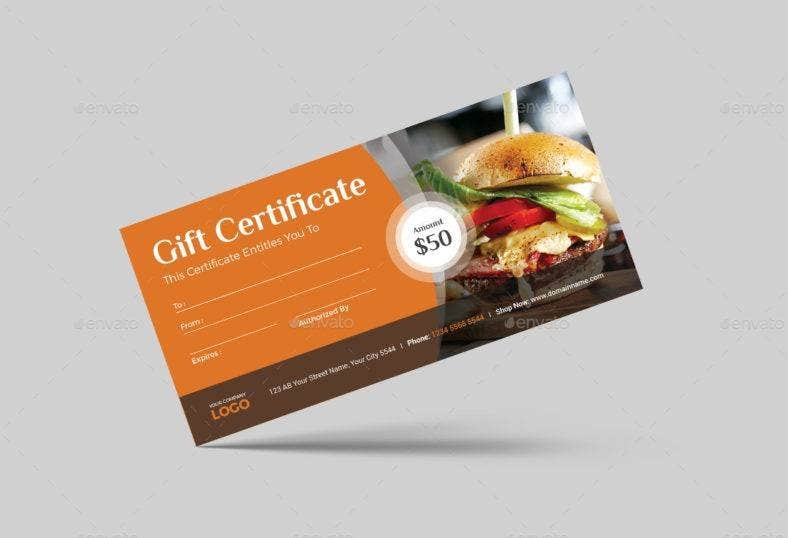 Doing so will expose the other to your company’s products and services as the other party will be using the gift certificate for future purchases in your store. If they are satisfied with what they bought, there is a high chance that they will buy from you again and they might even become loyal patriots to your brand. 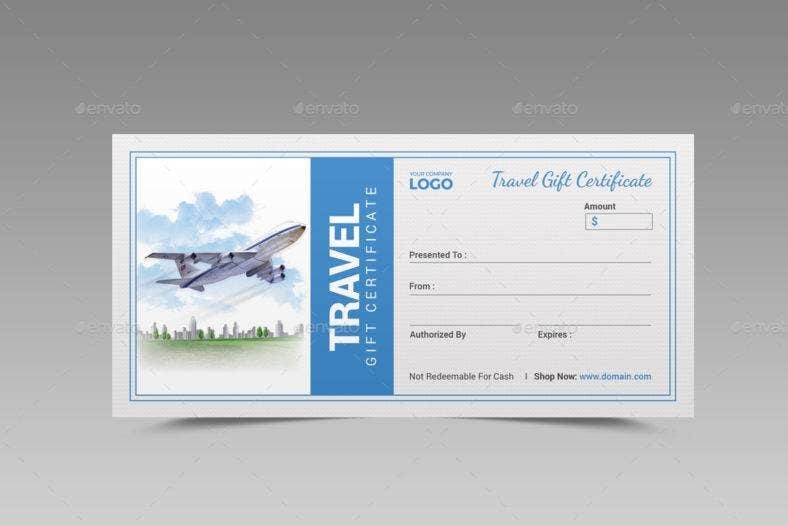 You may also see travel gift certificate templates. Gaining new customers is a continuous process. As the business owner, you need to think of ways to gain new customers every day. For example, you can give out freebies during your grand opening. You will be gaining new customers fast and might even be able to convert some of them into regular customers. 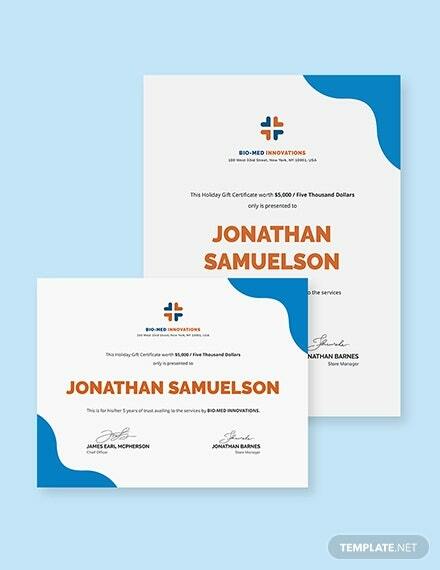 In the case of gift certificates, these can be given to both new and existing customers. These are great marketing tools especially if its concept is about it being a “gift”. 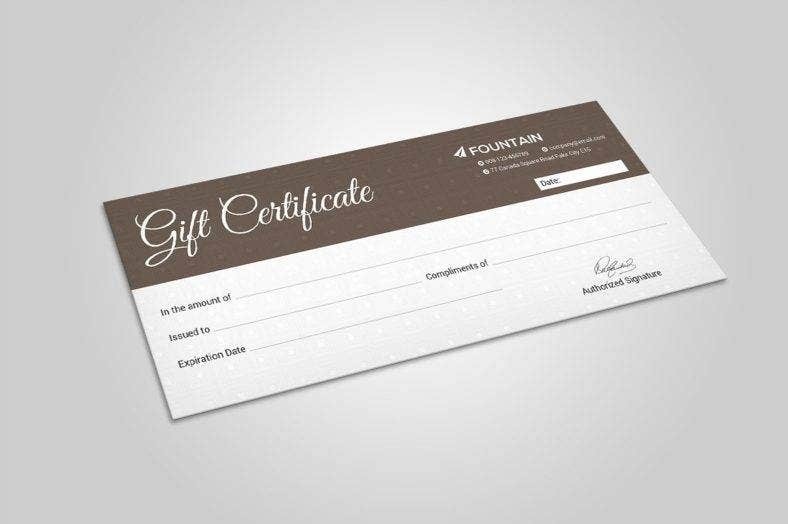 The customers that you have given a gift certificate to will most likely be giving it to someone else as a gift instead of them buying an item. 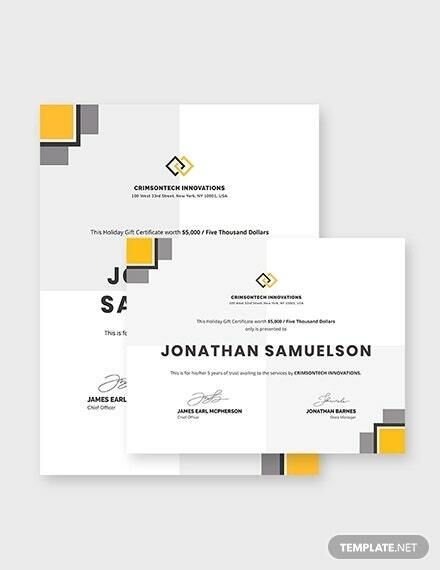 Once the certificate is given, the recipient will be exposed to your products and services and will probably be converted into a regular if they are satisfied. For your loyal customers, you can reward them with a gift certificate. It will make them feel that you value their patronage. Once in a while, you have to show your appreciation so people would also appreciate you in return. Since this is about boosting an already prevalent loyalty, you can create special gift certificates exclusive to the patrons like adding more perks than the usual certificates have for the regular customers. 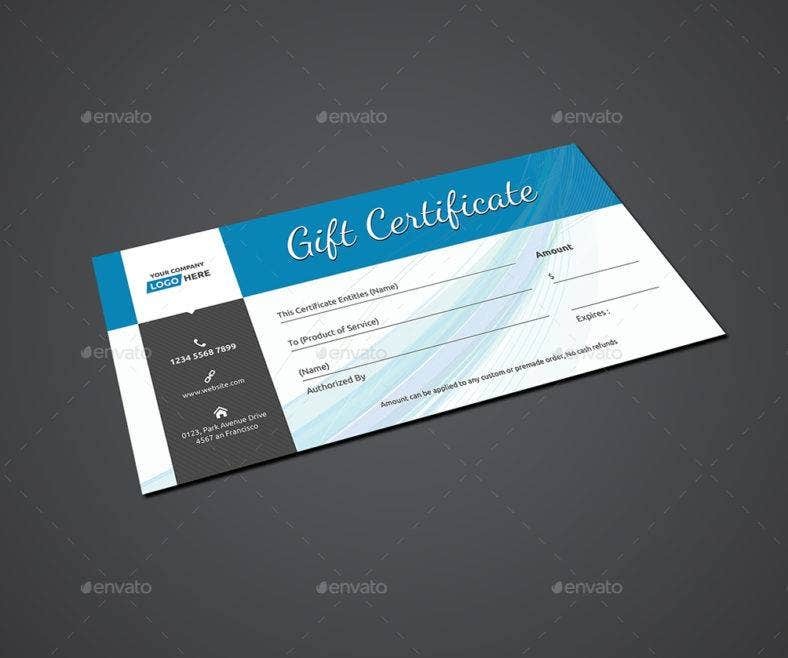 You may also see business gift certificate templates. Holidays are the worst days to purchase anything. If possible, you can shop in advance just to avoid the traffic everywhere. But, if you can’t avoid buying gifts on these busy days, then you can opt for alternatives for the gift. 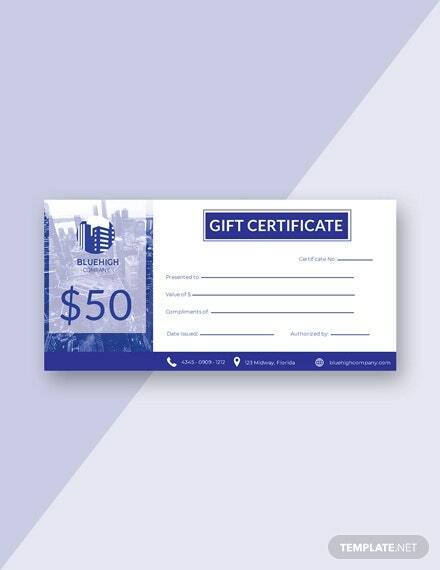 You can get gift certificates to give to your family and friends instead of items like clothes or any item that they want you to buy for them. A gift certificate is a great gift since it will give the recipient/s the freedom to choose whatever they want to buy. They can set the value of the gift certificate as the threshold for their expenses so they won’t be spending more than that. You may also see homemade gift certificate templates. It is important to reach out to your customers no matter the means of communication, and communicating with them through email is one example. 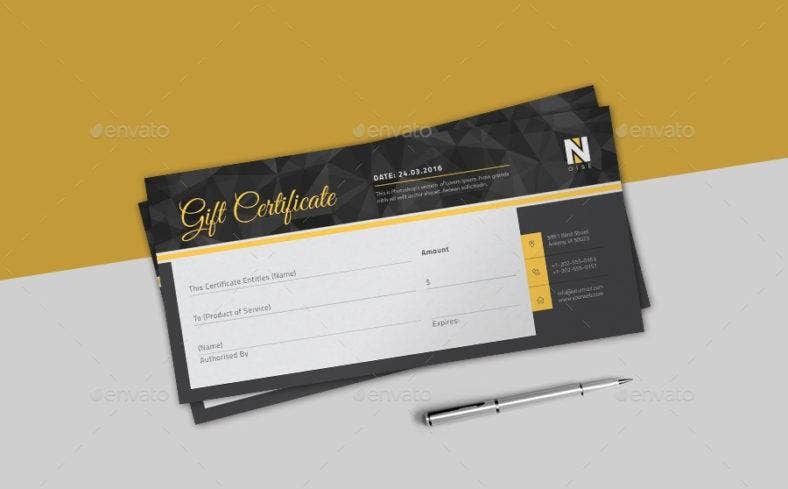 If you offer a gift certificate in exchange for subscribing to your business offers, it creates an opportunity for you to market new products or services through email. That way, customers will always be updated with your latest offerings, making them interested enough to purchase your stuff. Also, this will help you reach customers faster. An email can be sent with just a single tap or click on your computer, laptop, or smartphone. 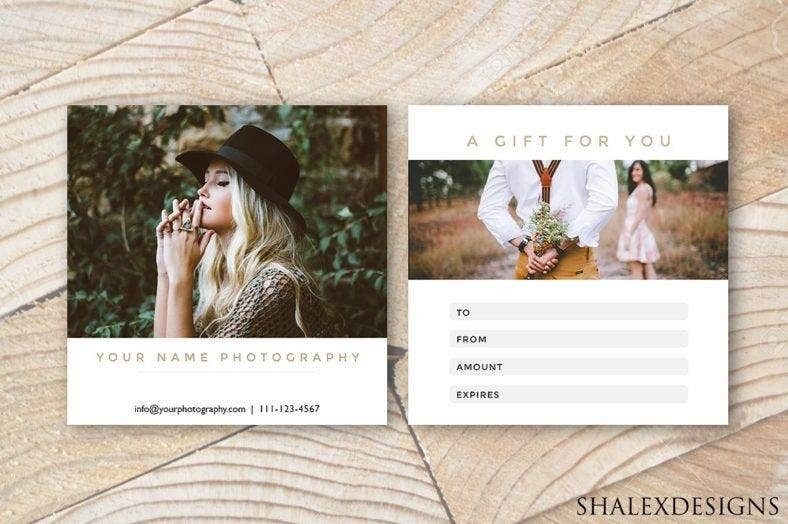 If you are still in the pre-launch phase, it would be perfect to advertise your business by offering a gift certificate for the first few customers to purchase from you. It would surely attract customers, especially that your business is still new. Doing so would create an opportunity to expose new customers to your products and services. Once they are exposed, if they like what they see, they might be getting more than what they intended and you might be able to convert some of them into regular customers. People’s rampant use of social media sites has paved way for a new avenue of promotions. Most of the businesses today have social media accounts the moment they introduce themselves to the public. Doing so increases customer engagement and a wider reach to your audience. You can ask people to like, follow, or subscribe to your business’ social media accounts and in return, you can offer gift certificates. It is an inexpensive way of spreading your online presence on the web. An increase in the number of followers and improvement in follower engagement will also help you promote your products and services even more. 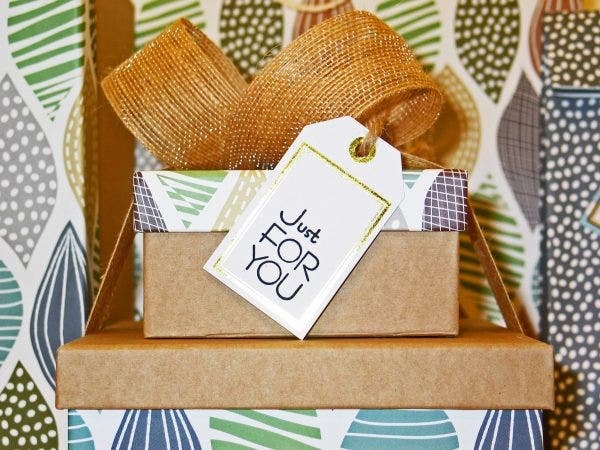 What is a better way to welcome a new customer than by offering a gift certificate? This way, there is a bigger chance that they will purchase again from your store if you wow them with their first experience. First impressions last, so make sure yours would. You may also see holiday gift certificate templates. One of the most common ways for customers to avail of gift certificates is by letting them reach a minimum purchase. If they hit the minimum purchase, you can offer them discounts for their purchased items or you can offer them gift certificates that they can use for other items in your store. You can also offer higher additional gift certificates if they reach a certain amount of purchase higher than the basic one. You may also see sample blank gift certificates. Referrals are probably the best word-of-mouth communication used to spread the presence, whether it’s a large or small business. People will most likely go to your store if they are referred by a friend because they may have huge trust on their friend’s choices especially if their friend has enough exposure to your offers. So, in order to get more people to refer your store, give them incentives by offering gift certificates. With the rampant use of social media, businesses have extended their reach further than they used to. Some business reach out to celebrities and bloggers to use their influence to advertise products on their social media accounts. If you want to expose your business to more people, you could partner up with these “influencers” and offer exclusive deals to their followers on social media. Their credibility and charm allow them to “influence” their followers to avail of the gift certificates that your business offers. Have you found the right design? 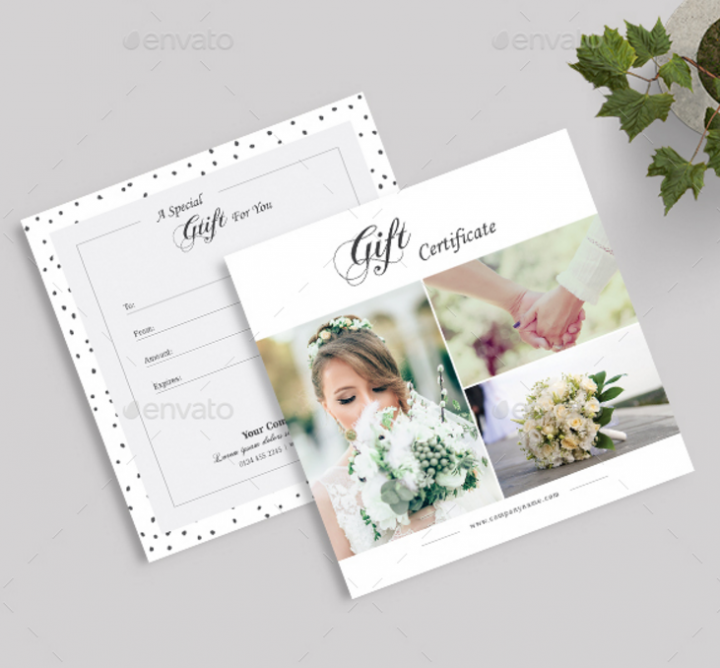 Now that you have reached the end of this article, we’re sure that you have found one or more templates that you can use for your company’s gift certificates. Take time to go through each of them until you can arrive at the final design/s. These templates are easily accessible online, so you can purchase and download them from your smartphone or computer any time. Also, if you want to come back to review your choices, bookmark this page and share it with your peers so they would be aware of the gift certificate templates that they might need for future reference. You may also see printable gift certificates. We hope we’ve helped you in choosing the best design for your gift certificates. We wish you all the best and may your business be successful! Good luck! 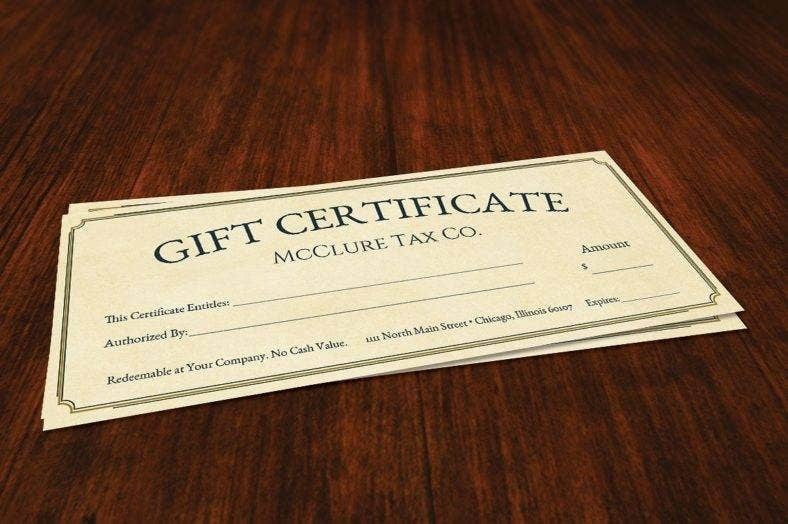 You may also see gift certificate templates in word.